Tuff Country add-a-leaf kit is an economical way to lift the rear end of your Tacoma. 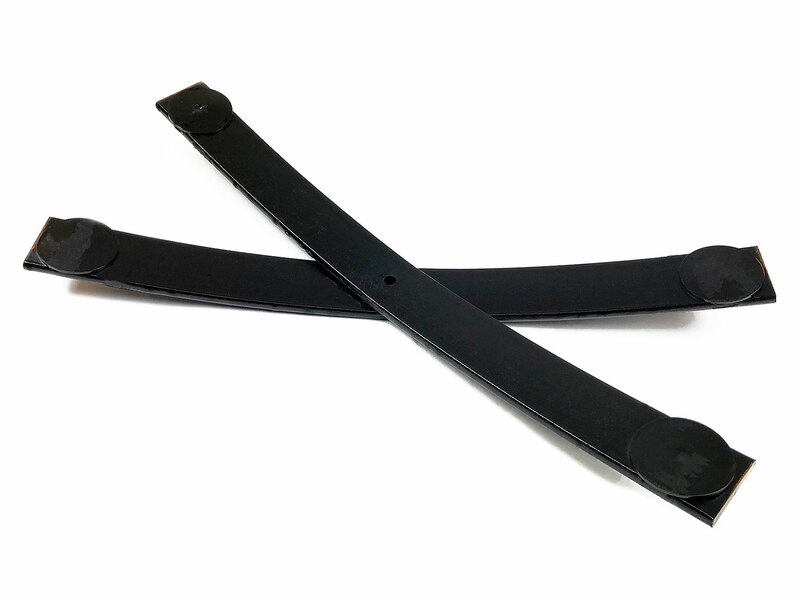 Designed to be added to the existing leaf springs. 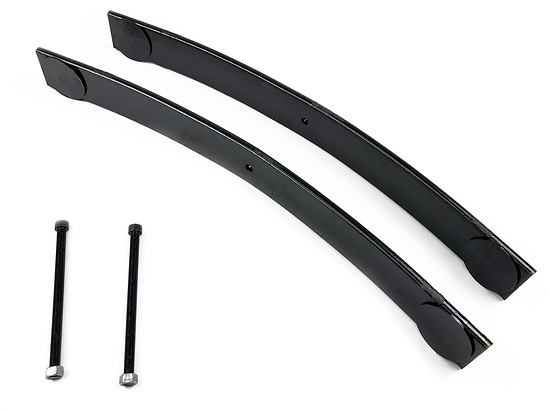 Once installed the add-a-leafs add additional arch to the leaf springs which will add height and weight capacity to the Toyota Tacoma. 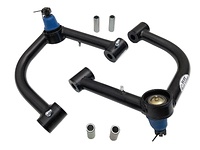 Add-a-leafs are designed to be installed on vehicles with stock height leaf springs. 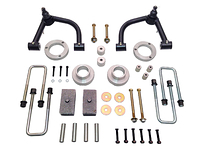 Will not fit vehicles using bolt-on helper springs or contact overloads. 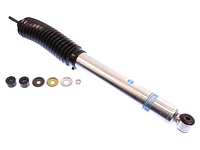 Can this be used with stock shocks? 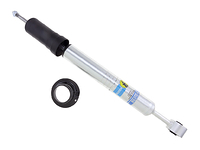 You bet, stock shocks will generally fit on all vehicles with up to 2 inches of lift. Any more than 2 inches will require extended shock absorbers. Will this oroduct fits the 2015 Tacoma TRD Pro? 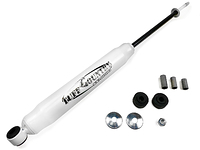 When talking to Tuff Country about this product, they informed us that they have not done any test fitting on the Pro model. They did express concern about that vehicle already being taller from the factory. They said the add-a-leaf might bolt in just fine but they would be unsure of the height that you may get from this spring on the Pro models. Is this product a DIY product? Absolutely. With a little mechanical know how and a good set of tools this add-a-leaf should be able to be installed at home. Will this fit the Pre-Runner (2wd)? What additional capacity will this increase...500lbs? Thanks. 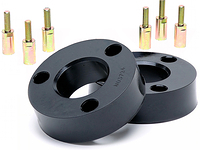 Yes, this kit will work with the 6 lug 2wd Prerunners. The add-a-leafs will only give around 150 - 200 lbs. added weight capacity to the rear end. They are made for lift not so much weight. How much added payload do these provide after install? Do you send with installation instructions? These will give you about 800 lbs, it will come with a step by step instructions. Do these come one for left and one for right or do you need to order 2? You only need to order (1) pair part # 85250 includes both driver and passenger side add-a-leafs along with the longer centering bolts. Very easy to install. Did raise the truck 2"
Easy to install , lifted rear of 2014 Tacoma 2" to make it ride level with camper shell & tools on board , Rides a little rougher but worth the trade off . If you know anything about add-a-leafs already you pretty much know what to expect. These are better than most. Harsher ride and more than advertised lift upon installation is expected. They do settle after time but I'm thinking the end result will still be a little over 2" (I've had them installed for almost 3 weeks now and they have settled about half an inch or so). I like the stiffer ride and it will support more weight when loading up for camping and such so these work just fine for me. 2013 Tacoma TRD Offroad Double-cab short box. I gave "ease of installation" a rating of 4 because it's not always as simple as it appears. Not complicated but often when raising your axle back up, bolting it all back together, some applications tend to fight you on lining back up. At least if you're doing one side at a time which is how most do-it-yourselfer's will need to do it with one jack and two stands. If you're better equipped like a pro garage it may be more hassle free. However I've also installed lifting blocks on vehicles (one side at a time method) and the alignment pins also tend to fight you going back together sometimes. So it boils down to ride vs. load performance. Blocks will maintain factory ride, add-a-leafs will stiffen the ride a bit until you're carrying a load, in which case you'll increase your load capacity. Overall, I'm satisfied and got what I expected to achieve. I got 2" of lift on my 2015 Tacoma TRD Sport 4x4. I raised the front end about 3" and the truck sets level and looks like I think a 4x4 should. And don't confuse "4x4" with "rock climber", that's another category of lift and goes beyond the clearance needs for traveling typical unmaintained roads, sand and snow. Quick and easy install for added look and extra towing capacity! When I purchased my Toyota Tacoma in '10, I added a leaf. This year, due to a Toyota recall, all factory leafs springs were replaced. The dealer said they could not put the 3rd party leaf back on because it was cracked. So I had to purchase another add-a-leaf. 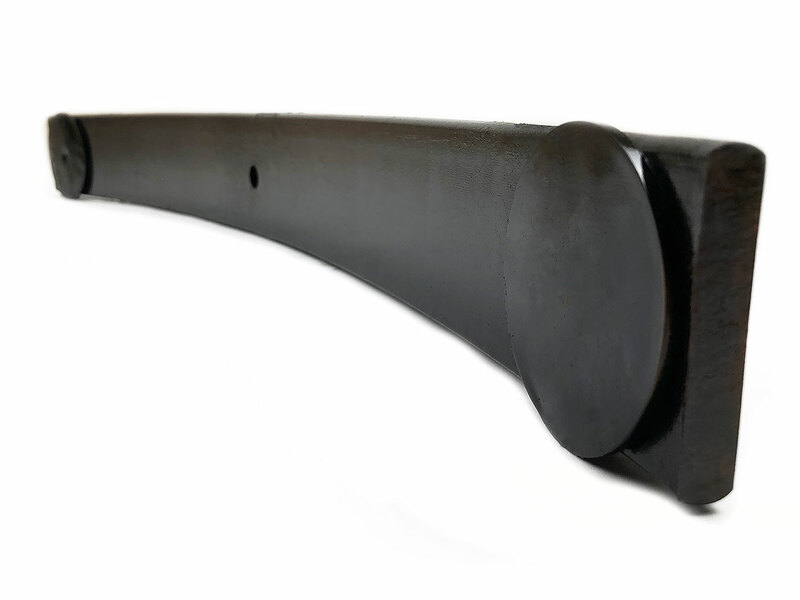 The "Tough Country" add-a-leaf was easy to install and fit with the factory U-bolts. The leaf gave me the 2 inches I needed to level the truck. Was a great Christmas. Bonus for getting the correct item and now his friends want a lift on there tucks.